The Environmental Sustainability Team have been working with the Business School on the Business Ethics and Sustainability module, which reaches around 350 students every academic year. 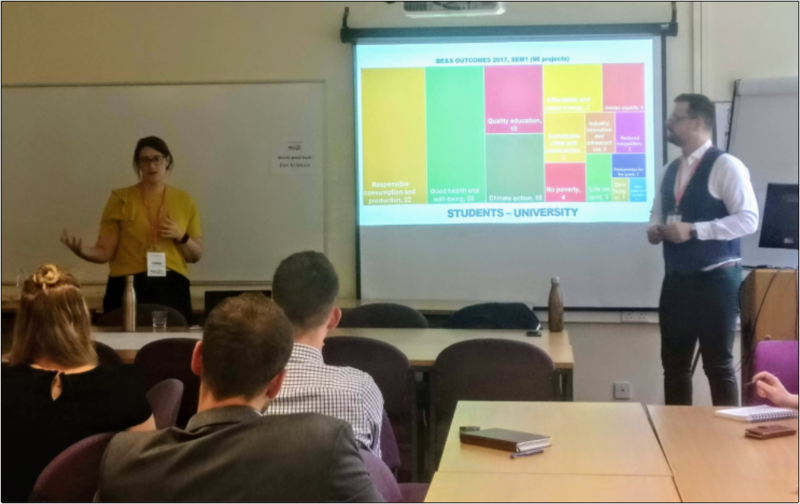 Bec Bennett and Romas Malevicius delivered a workshop about the successful collaboration at the recent EAUC conference and the team received a Vice-Chancellor’s Teaching Award for the module. We have now also found out that the module has been nominated in the ‘Next generation learning and skills’ category at this year’s Green Gown Awards! The module provides a real-world student learning experience, i n line with the ICZ strategy, by partnering with the Social Enterprise Visits Initiative (SEVI) and the UoS Environmental Sustainability Team (EST). Bec Bennett, Environmental Sustainability Officer, delivers guest lectures that provide the foundation on how UoS is trying to be more sustainable and what the main challenges are. This provides an excellent opportunity for the EST to deliver information on environmental management at the University such as waste and recycling and provides a barometer of awareness to measure changes in knowledge and attitudes. Future plans for the module include involving the whole EST in delivery of lectures. A fundamental feature of the module is the development of a group assessment that enables students to participate in The Best Sustainability Project Idea competition. Students have to critically assess how the University is addressing one of the 17 Sustainable Development Goals (SDGs) and identify the main strengths and weaknesses of how the UoS is tackling that SDG. Based on their analysis, students present recommendations and a project plan, which would assist the University in tackling the selected SDG in the future. The students’ suggestions are valuable in identifying opportunities and supporting business cases for improvements. These opportunities are considered and prioritised within the University’s Environmental and Energy Management System risk and opportunity process. Students investigate and select one local charity that they would like to support and incorporate in their presentation. The best presentation has a chance to win a monetary price that will be donated to the selected charity. The winners of The Best Sustainability Project Idea are announced at the end of every semester where students meet with their charities and pass on their donation. 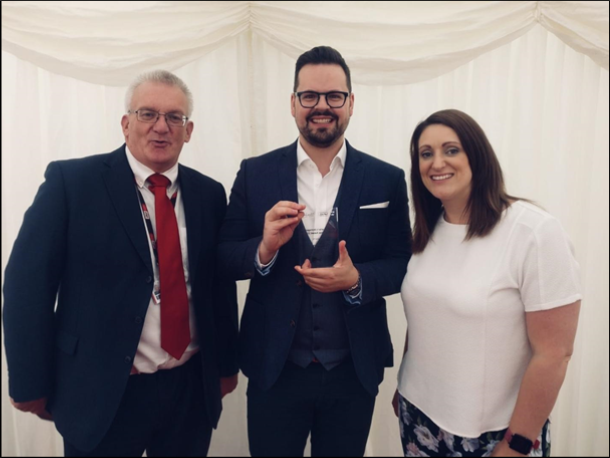 The delivery of teaching has a combination of pedagogical approaches including workshops, guest talks and field trips to social enterprises with a keen focus on the skills and knowledge that are vital for professional practice and employability.